2014 District III Team Rankings HERE! 2014 YAIAA Wrestler Rankings HERE! ▪ Warning: Some "below" links may have gone away! Conestoga Valley Wrestling Juniata Wrestling Club Inc.
Rev/InterMat Wrestling! Takedown Wrestling Radio "Live"
GametimePA YAIAA Wrestling Plug into PAWR Wrestling! Gonzaga Prep Wrestling Washington DC Wrestling Assoc. Ragin' Raisins Wrestling Club Lee Kemp's Korner "Live"
Don's Miscellaneous Websites of Interest! West York Area School District York Barbell Co.
WSBA 910AM Colony Papers, Inc.
PIAA Official Website Total Identity Solutions! Truck & Large Rig Decaling, Promotional/Merchandising Items, Signs, etc.!!!! CEO/President - Randall Turner. VP, Sales & Marketing - Eric Lehman. "A Wrestler must LIVE Wrestling!" 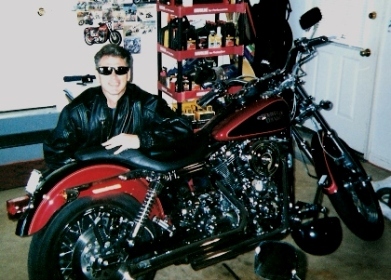 ▪ Don Lehman's 1999 Harley-Davidson Low-Rider TC1450cc.